If the past is prologue in this midterm election year, approximately 37 percent of eligible American voters nationwide will go to the polls on Nov. 6. Not since 1970 has the 40 percent mark been reached. When the presidency is at stake, however, turnout in the last three presidential elections has risen to a little under 60 percent of eligible voters. We may hope that voters understand the importance of November’s election and participate, for the winners of all 435 races for the U.S. House of Representatives and of 35 U.S. Senate and 36 gubernatorial elections will have a direct say on issues ranging from health care to climate change, immigration, the economy, and foreign relations. They will represent us in the context of tense relations with China, Russia, North Korea, Iran and Saudi Arabia. In our politics today, there are major fault lines dividing the country. Listen to our elected leaders talk. So much reflects little rational discussion, but rather, “My team, your team” exchanges. Decorum is in eclipse; the norms of civility are eroding. In the media and on the campaign trail, the level of discourse frequently includes insults that are shallow, personal and vile, the kind that would bring detentions in school or “time outs” at home. Yet the matter runs deeper than that. Not since the late 1960s has distrust of government been so widespread, especially at the upper levels. We daily see efforts to delegitimize the courts, independent investigations, the media and even the scientific habit of mind. Some no longer appear to value truth, yet democracies thrive best when truth ranks high in our pantheon of values. As we approach our midterm election, these negatives are in play. When the French aristocrat Alexis de Tocqueville visited the United States in the 1830s, travelling throughout the country east of the Mississippi, he marveled at the vigor of the young nation’s civic and fraternal organizations and the popular religious revivals that were sweeping the nation. He saw in the voluntary associations the ‘’backbone of community life,” the sturdy foundations of “Democracy in America,” the title of his monumental examination of the young republic. How different are trends in society today. For decades now, participation in service clubs such as Lions, Rotary and Kiwanis has declined. New members are not stepping forward as they once did. Declining interest in associational work extends to parent-teacher associations. In state after state, schools report diminished interest in parental involvement in their children’s schools. One reason may well be the increase in single-parent households; current estimates are that 50 percent of American children will live in such an arrangement for a while before they become 18. We muster empathy for the parent who finds time difficult to come by. At the same time, however, there is a growing trend to overschedule children’s time in a host of activities ranging from sports to special classes, clubs and work, all of which may require parents to provide transportation at set hours. None of this is meant to belittle adult involvement in their children’s lives beyond the schoolroom but rather to indicate that we are a hurried society. As reported in a World Values Survey, a strong minority of millennials harbor doubts about democracy’s effectiveness in solving social problems, even to the point that it might not be essential for them to live in one. It reflects not so much an anti-democratic attitude as it does disappointment with the semi-paralysis of governments, not only in America but abroad. They believe governments can be made to work but that more directive forms might be necessary. As we approach Election Day, our society faces strong head winds of discord. There is no simple solution to the faltering habit of exercising our franchise, but elections have consequences. If we don’t vote our interests, our silence confers consent. Ron Lora, a native of Bluffton, is professor emeritus of history at the University of Toledo. 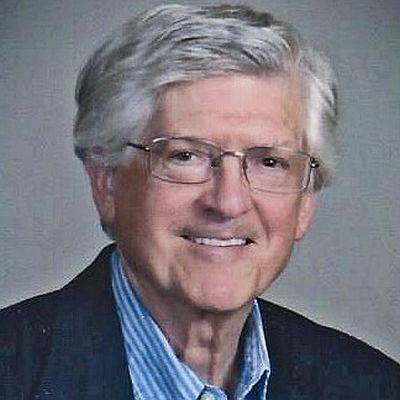 He is the co-editor of “The Conservative Press in Twentieth-Century America” and is a recipient of the Distinguished Historian award from the Ohio Academy of History. His column does not necessarily reflect the opinion of the The Lima News editorial board or AIM Media, owner of The Lima News. Contact him at rlora38@gmail.com. This entry was tagged Lora. Bookmark the permalink.